UPDATE, 4.10pm: A MAN has died after a three-vehicle crash on Bangalow Rd at Clunes this afternoon. 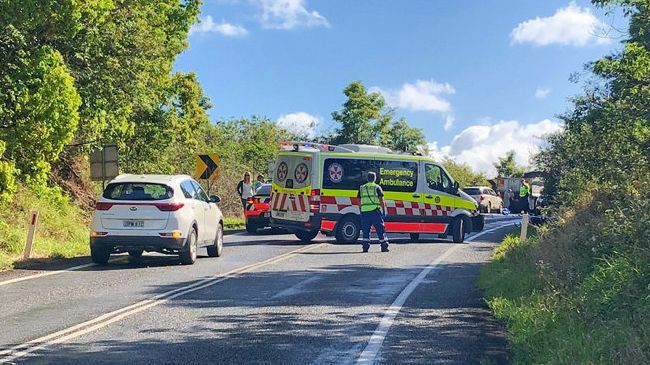 About 2.20pm, emergency services were called to the crash about 20km north-east of Lismore, following reports a motorcycle had collided with a tip truck and a Subaru Outback station wagon. The rider, a man believed to be aged in his 50s, died at the scene. He has not been formally identified. The driver of the truck, an 82-year-old man, and the driver of the station wagon, a 27-year-old woman, were not injured. They were both taken to Lismore Base Hospital for mandatory testing. Officers from Richmond Police District attended and are investigating the circumstances surrounding the crash. Any witnesses or anyone with dashcam footage is urged to come forward. Traffic diversions are in place and motorists are advised to check livetraffic.com for more information. Original story: EMERGENCY services have been called to a motorbike crash near Clunes. A NSW Ambulance spokesman said five crews had been called to the scene on Bangalow Rd, about 5km north of Clunes, just before 2.20pm. He said the motorcyclist was believed to have collided with another vehicle before being thrown from their bike. The spokesman said the extent of their injuries was not yet known and no other people were believed to be hurt. 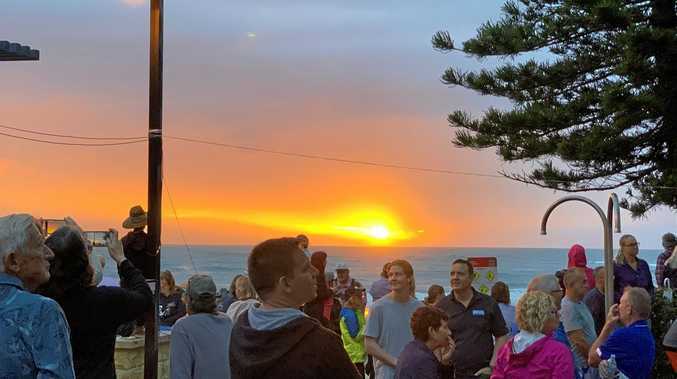 He said two ambulances were at the scene already, and the Westpac Life Saver Rescue Helicopter has also been called. Bangalow Rd is closed in both directions after the crash. A Transport Management Centre spokesman said motorists travelling between Lismore and Bangalow should seek an alternate route. He suggested using the Bruxner Highway. The spokesman said Bangalow Rd was closed between James Gibson and Eureka Rds.